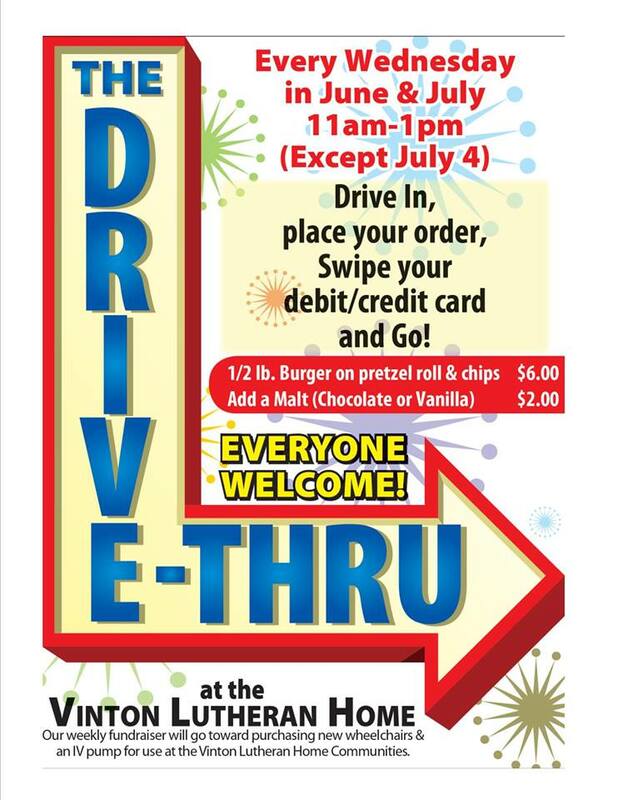 Today the first drive thru of the year took place at the Vinton Lutheran home, and was extremely successful. 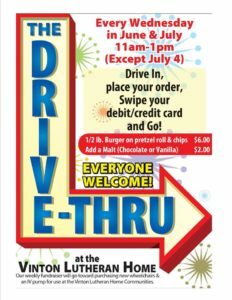 The drive thru is Vinton’s annual summer fund raiser, and this year proceeds will go toward new wheelchairs for the whole facility. Copy and paste the link below to check out our youtube video of this season’s first drive thru!